A step by step to creating an auto-exec file for CS:GO. Our CS:GO auto-exec guide contains a step by step walkthrough to help you setup an auto-exec/config file so you can customise the game with all manner of console commands. Purchase a game nowadays and it's hardly ever playable right off the bat - there's always a day one patch to apply. 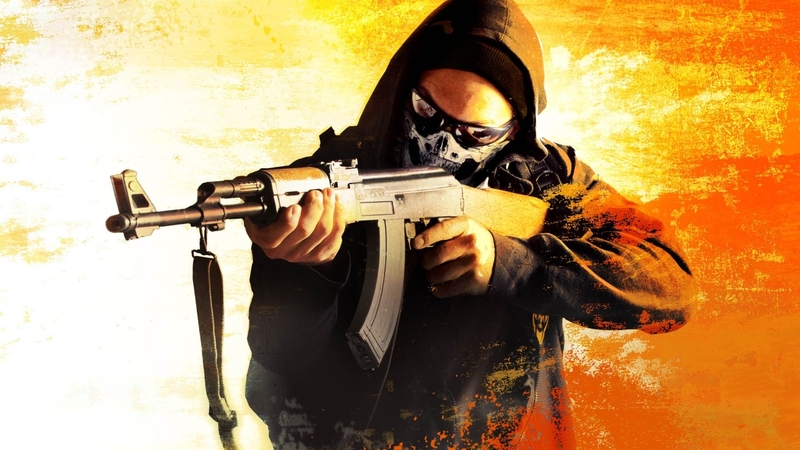 While you could jump into competitive CS:GO without tampering with any settings, it's ill-advised. If you really want to start knuckling down and proving yourself on the ranked ladder, you'll need to setup your own auto-exec or config file. There’s no prompt to do so once you’re in the main menus and Valve certainly won’t hold your hand and guide you through the process. It’s not even mentioned anywhere in game, and it's almost as if the option doesn’t even exist. Trust us, it does, and it'll make a big difference to your experience of the game. We only found out about auto-exec files when watching footage of streamers and top players rocking different crosshairs, adjusted maps and more. It turns out you can put together a text file and insert it in CS:GO’s folders to tweak almost every aspect of the game to your liking. Want to play competitively? An auto-exec is the ticket to getting serious. For new players it’s an intimidating task, especially if you’re someone who never usually fiddles with game files in fear that you’ll mess something up forever. Fear not, as we’ve put together a walkthrough that’ll get you an auto-exec file up and running in no time at all. For new players, or those who aren't particularly tech savvy, it's an intimidating task. Fear not, as we've put together a walkthrough which will get you an auto-exec file up and running in next to no time at all. Finally, don't be afraid to create one! All of this is completely legitimate, heck, even pro-players do it. You won't be perma-banned or anything. Here’s a step by step guide to getting a config file setup. First things first, you’ll need to find your CS:GO config folder. To do so, navigate to “This PC” then click on the drive you’ve installed the game on (likely your C folder). Select “Program Files x86”, “Steam”, “userdata”, select the long string of numbers that applies to your account, “730”, “Local”, “cfg”. If you’ve got multiple accounts then you’ll see a bucket-load of folders all containing a long string of numbers before the “730” step. If this is the case, head over to your inventory in steam, hit trade offers, who can send me trade offers? And scroll down. Just before the “Create New URL” button you’ll see your user account number embedded within the above URL. Once you’ve made it into the cfg folder, right click and create a brand new “Text Document”. Make sure to name it “autoexec.cfg” exactly. Now, right-click the autoexec file you’ve just created and go about editing it using a text editor. We’ve found Notepad++ to be a great tool for this and will serve you well in general use too. Now you’re in the editing screen, you can start inputting a bunch of console commands which will automatically execute whenever you launch CS:GO. Example console commands include: “cl_autoweapon switch “0”” and “cl_downloadfilter all”. It’s not as confusing as it looks. There are many tools to create your own auto exect template out there which you simply copy and paste into the file you’ve just created before clicking “Save”. Once you've got an auto-exec file, you can simply tweak it with a few adjustments by heading into the editing tool you used. Now the hard work is done, getting CS:GO to play how you want it to has never been easier! Do make sure to give this video by TrunGaming a watch as it walks you through the fundamentals of creating an autoexect file. Now that you’ve got an auto-exec file in the config folder, it’s now time to get some useful console commands in there. Our Best CS:GO Launch Options guide has you covered on this front, so make sure you check it out!